Magnificent suchomimus seems to be submerged in a lake. I mention it because it seems that their legs are covered by water. You do a colossally good work, my congratulations. Yeah that's right, it's stood in the water! Thanks for the kind words. Beautiful artwork, looks very lifelike. 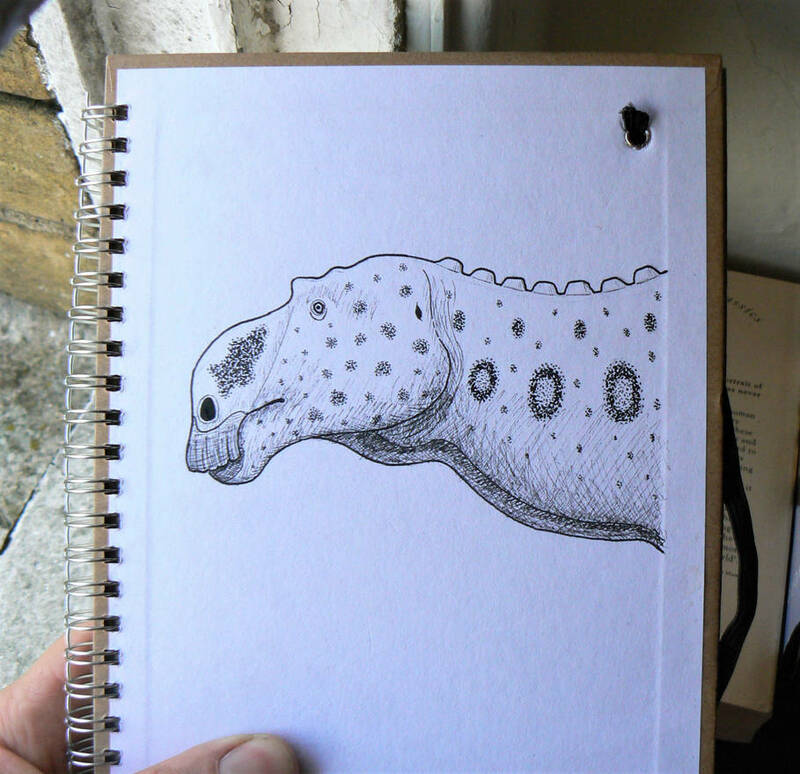 A quick Maiasaura peeblesorum, the last of four iguanodontian ornithopods drawn for the covers of my new notebook. 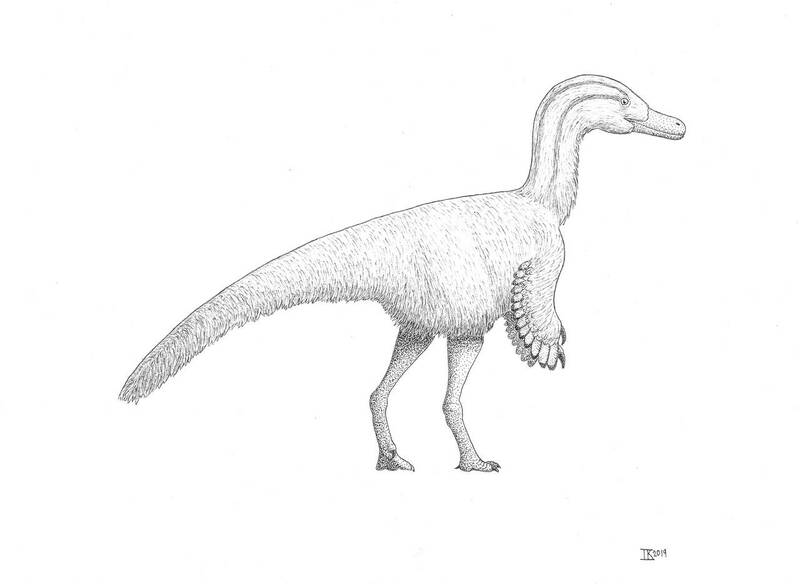 Plus repost of Suchomimus with slight update to shoulder region. The basal alvarezsauroid Haplocheirus sollers. Beautiful picture and beautiful restoration. One of the best maniraptorans I've seen! Great job! It looks very natural but also cute and fluffy! It is a soft and elegant feathered dinosaur figure. I congratulate you. Allosaurus fragilis, famous big theropod of the Late Jurassic. What a beautiful drawing! 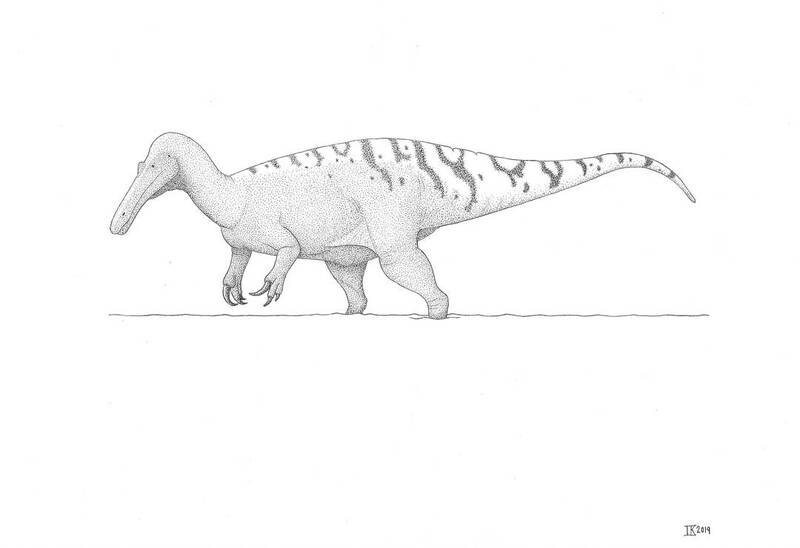 An allosaurus fragilis without lips according to modern reconstructions. The current reconstruction of this theropod is more beautiful than with the disembodied jaw, as the dinosaurs represented us before. Ictonyx makes very cool drawings. I just saw for the first time this thread. You’ve done some really nice drawings! Ticamasaurus is certainly the king of the Jurassic period. With Balaur feet, dromaeosaurus bite, microraptor wings, and a terrible poison, the Deinoraptor Dromaeonychus is a lethal enemy for the most ferocious hybrid too. A post to do with process. 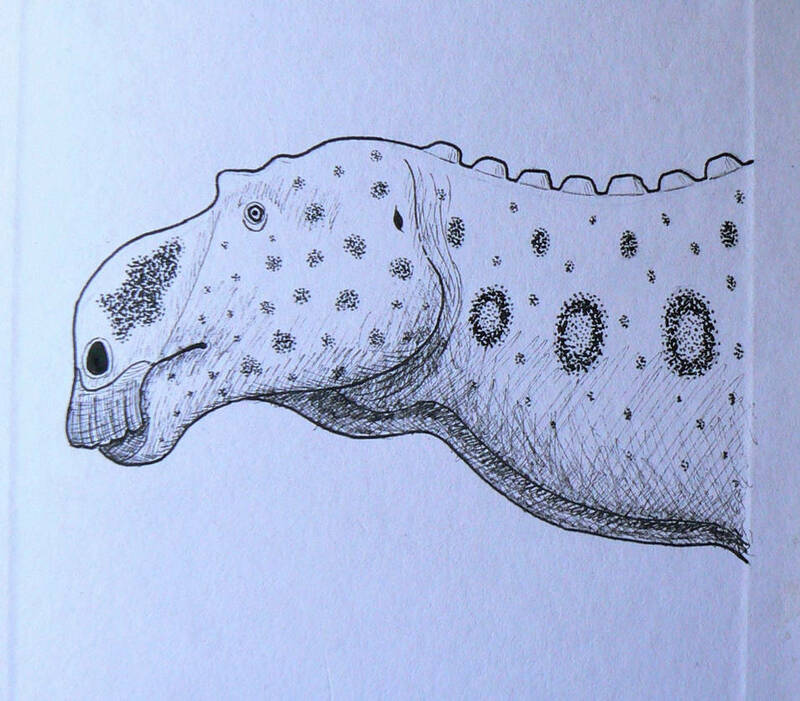 This is the second of probably many Carnotaurus sketches, to help work kinks out of the pose, figure out foot position, aspect of the head / neck etc. Shonisaurus, accompanied by a pair of hybodontid sharks.